Our first annual late night BYO Barolo party was one of those nights where every wine seemed to fire on all cylinders, and it set the bar for every party since. It was three years ago and the who’s who of the Los Angeles wine scene filed through the secret/not-so-secret passage and into the back room of Terroni, one of the city’s best Italian restaurants. The word got around and a slew of Italian wine importers and even the old guard came out for the show. Every producer from anyone’s list of top twenty Barolos found their way into the room that night. 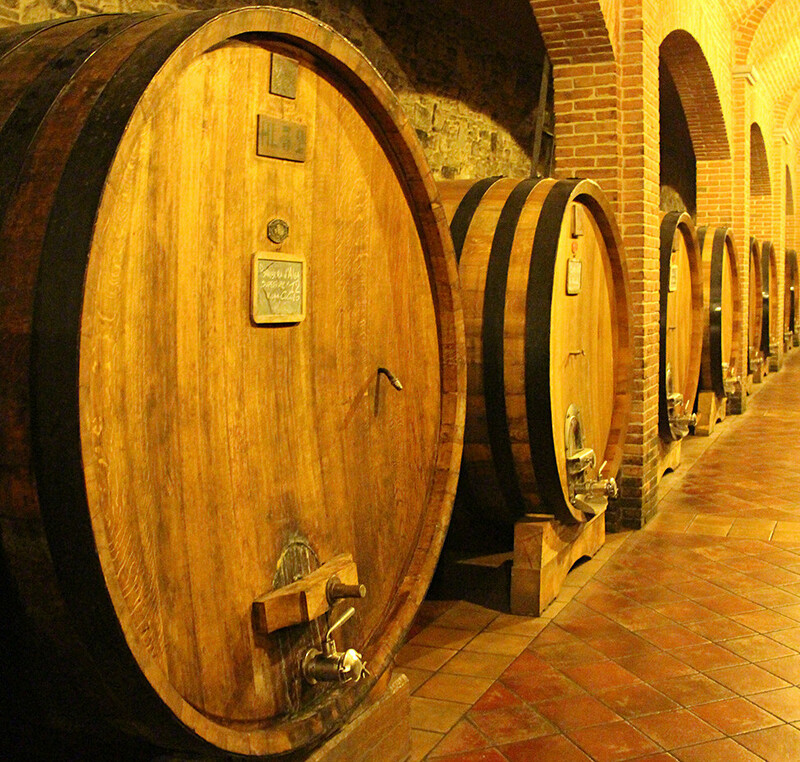 There were numerous vintages of the undisputed kings of the region: the Conterno clans, both Mascarellos, the Burlotto families from Verduno, the Rinaldis (the great and the less great), Giacosa, Vietti, Brovia mags. You name it, they were there. The decibels rose from DJ Nahchey’s mix as the room filled and began to spill into the main dining room and into the back parking lot. An hour in, you could hardly make your way through to the long, heavy wooden tables, pushed against the red brick wall, covered with a growing metropolis of Barolo bottles. One of LA’s notorious front men made an unexpected and welcome visit at the eleventh hour. At the time, he ran one of the busiest restaurants in the city, so it was rare to see him at our late night parties. He smiled as he discretely placed the wine he brought on the table; I’ve seen his slight of hand before and I moved in on the bottle straight away. 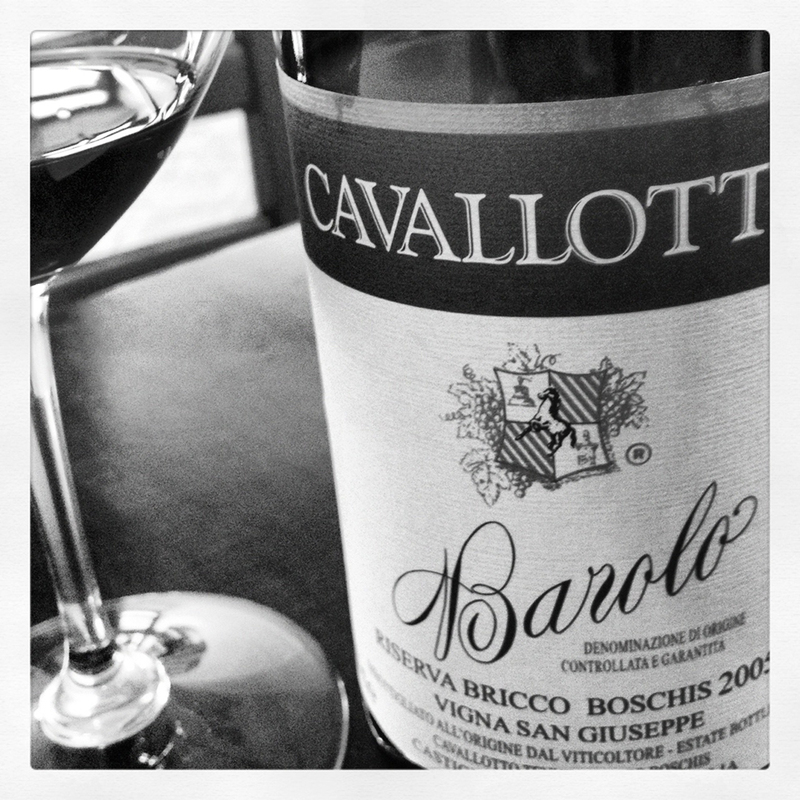 His bottle wore an off-white label with a Piemonte brick-colored banner in the upper section, which bore the name, Cavallotto and a mix of fonts that read: Barolo, Riserva Bricco Boschis 1999 Vigna San Guiseppe. It was one of the last corks to be pulled and the wine quickly broke from the pack and brought me back to the beginning of my love affair with wine. Every great wine digs up euphoric feelings that first emerged for me twenty years ago. Back then, I didn’t know the difference between good and bad wine; I loved it all. The grey world I knew began to fill with intoxicating smells, indescribable tastes and dreams of far away places. The sun never set as I read about new philosophies and new ways of thinking and living. Suddenly, I had purpose. I sprinted away from my guilt ridden pious youth and into an exciting and mysterious world. It was the most thrilling moment of my life. Barolo wasn’t my first love; it was an acquired taste. In my earlier years I didn’t have access to aged Barolo, so I didn’t understand its most charming moments. Barolo grew slowly on me because of the rigid structure and unapologetic acidity of the younger wines, which can be quite a shock if your entry into the wine world was through the easy accessibility of California wine from the early 1990’s. However, a trip to Barolo would nearly convert my palate in one week. During a six-month bicycle trek, in 2004, I stayed a week in Barolo at the base of La Morra. 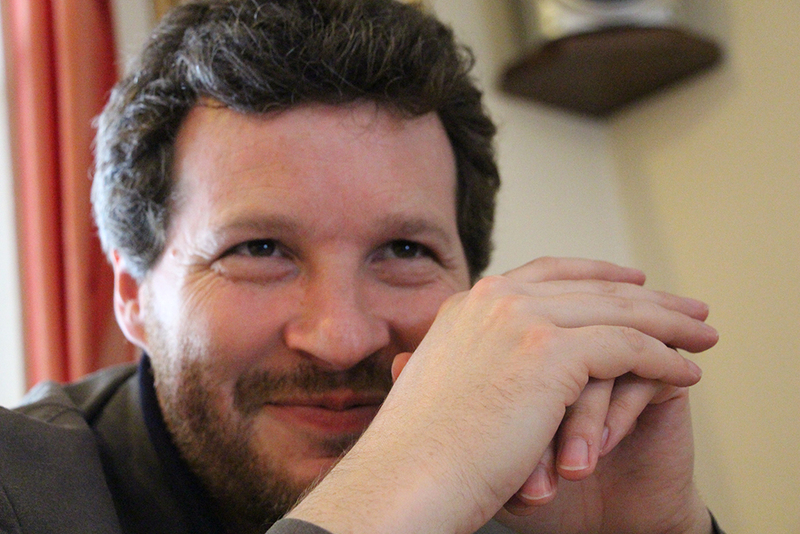 After our campeggio host, Giorgio Viberti from Cascina Ballarin, found out that we were in the wine trade, he started filling our open schedule. The result was a week of agonizing bike rides up extremely steep hills to more than a dozen cantinas (the Italian name for a winery). Giorgio invited us to a few dinners as well as a dance at a church below La Morra, where we unexpectedly had dinner with two sweet guys who we later found out were the Barolo producers, Enzo Revello and Giuliano Corino. We were invited to numerous lunches with great producers like Luca Sandrone and Elio Altare, along with his daughter Silvia. After our visit with Roberto Conterno, arguably the greatest producer in Barolo, he kindly called another great, Gianluca Grasso, to arrange a visit for us. 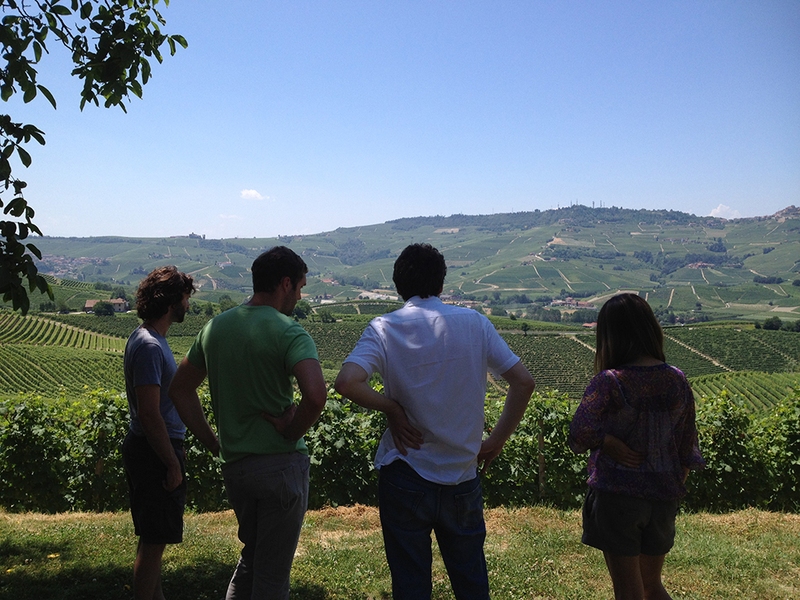 The people in the Langhe are hard working and earnest and their wines reflect their character. They are the magic that Barolo possesses. These days, as I drive away and see Barolo in my rear-view mirror, I’m already planning my next trip back. My smiling friend at our Barolo party began to recount his first contact with Cavallotto as I dreamt of my next trip to Barolo. In his early years as a sommelier, he attended the annual trade tastings by a well-known importer who was famous for ushering in the new breed of modern Italian wines, as well as some traditional estates like Cavallotto. He recalled elbowing his way through a sea of buyers to taste these new modern monsters. 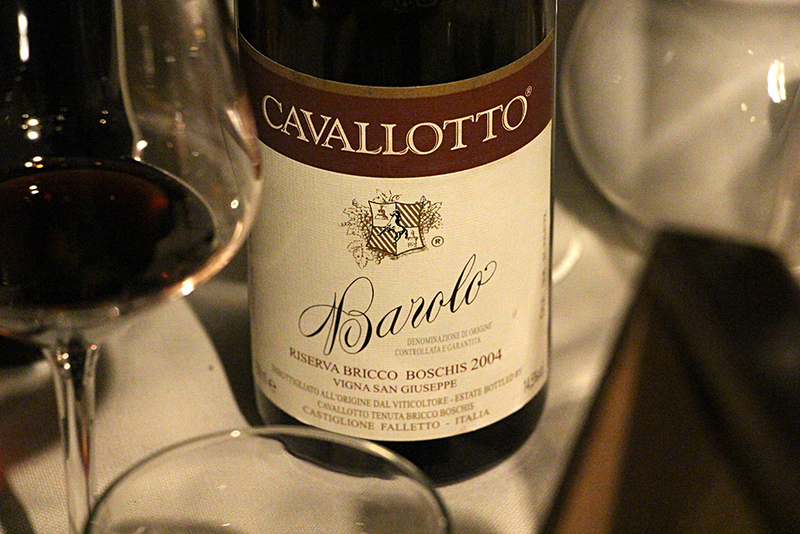 His smile grew as he explained he spent most of his time at the quiet Cavalloto table, “the best table in the room.” Cavallotto’s traditionally styled wines were easily overlooked in this portfolio, which had largely forsaken tradition in favor of modern trends. The near perfection of the 1999 San Guiseppe brought out the kid in me and I launched a flurry of questions at anyone who knew anything about Cavalloto. By openly admitting that I didn’t know this seemingly epic producer, I risked coming across as a novice, but I couldn’t care less. When I don’t know something, I am not afraid to ask whatever questions come to my mind. During the weeks that followed, I worked my way around town talking with buyers who had known these wines for years. Everyone seemed to be as excited as I was that I had finally discovered Cavallotto. Not surprisingly, less than 90% of those I would consider to be top buyers in the city knew the producer. By “top,” I don’t mean those with the biggest budgets, I mean the ones who have a talent for wine and the experience to match. The truth is, most less experienced buyers who have found their way into powerful positions are just as happy buying an average bottle of random “interesting” wine, from who knows where, than a blue chip producer from a classic region. By the time I stood at Alfio’s front door, it had been a long journey that began a month earlier in Amsterdam, with my friend Matt, an artist. We spent a few days there, then worked our way into the Loire Valley of Northern France, then Chablis, down through Burgundy and finishing our tour de France in the south. After visiting a number of Rhone producers, we took the weekend off in the far southeast corner of France in the beautiful village of Èze; a prime spot that lends a steep, perfect mountain view of the brilliantly blue, Cote d’Azur. By the time we crossed the Ligurian range and into the Langhe and stood in front of this door, our party had grown by two more: A Kiwi winemaker with a sharply intuitive palate, Karl, and my beautiful fiancée, Andrea, whom I almost lost in Turin the day before. It was ten in the morning and we were running late. We flew up the steep, narrow road towards the village of Castiglione Falletto, taking the five mile an hour switchbacks while trying to avoid the bicyclers, speeding Pandas, and massive European semis that are like barges with wheels. Just as the road straightened out, we flew past the entrance of the winery, which can only be easily seen coming from the opposite direction. We screeched to a halt, flipped around and slowly made our way up the driveway as if we had been calmly driving ten miles an hour the whole way. As we stood near the driveway, a sporty grey Audi A5 tore up the hill and quickly slid into the VIP parking spot. Alfio jumped out of the car with his unkept hair, his squinty eyes and his ever-present smile. He wore stylish blue jeans, pointed black dress shoes, and a loosely buttoned wrinkled white linen shirt. He looked like a rock-star who fell out of bed, grabbed the first clothes on the floor on his way to the bathroom and out the door to have lunch with his mom. Alfio and his ever-present smile immediately led us to his favorite place, the vineyards. The sun reflected off the wings of bugs that endlessly raced through the air. The herbs and grasses had their way between the vine rows that carved out an amphitheater that rolled steeply down the hill and brought a waft of warm, humid air up into our faces. I commented that this wasn’t the usual feeling in a Barolo vineyard. Alfio quickly responded that in the ‘70s, his father and uncle began to separate from the pack as they were the first to convert to organic viticulture in Barolo. He explained that this vineyard bursting with living things wasn’t typical of the region. In the vineyard, Alfio excitedly spoke about their most recent maneuver: after five years of trials, and forty years of organic viticulture, they are the only producer here to commit to the use of natural alternatives, which substitute for copper sprays in the vineyards. Copper is used in European vineyards to combat the mold Italians call “peronospera.” The French call it mildew, and we call it downey mildew. In the States, we don’t have this affliction, so copper treatments in the vineyard are not needed. Alfio confirmed my inquiry that he also knew of no other estate in Europe to go full monty away from copper and into this nearly uncharted and risky territory. I was impressed by the move and it reminded me of a theory that I had been contemplating for years: Vineyard copper residues influence the taste of European wines. Alfio led us into his family’s immaculately kept winery full of massive old wood barrels, known as botti, set upon a shiny terra cotta tile floor. Through the maze of the cellar, Alfio explained every step of their winemaking process. At the end, we popped through a small door and unexpectedly into their tasting room. We quickly circled the room admiring the old empty bottles of wine from all over the world. Alfio invited us to sit down at a long, old wooden table tucked in the back. “Prego!” The table was adorned with tasting sheets and tall, sleek crystal wineglasses. When I asked about the unique glasses, he told us that he assisted the great Austrian glassmaker, Riedel, in the design. Together, they sought to perfect a drinking vessel that best showcases the balance of strength and grace, hallmarks of great Barolo. The Italian wine tasting ceremony seems to be rooted in Italy’s Catholic heritage; it’s like watching a priest prepare wine for communion. If you’ve ever visited a serious cantina in Italy, you know what I am talking about. A small amount of wine is poured into the first glass and rolled around to coat the interior and rid it of any smells that would intrude on the aroma or taste of the wine. This wine rinse is then passed from one glass to the next, until all are primed and then the remaining wine is tossed. At the best estates the same is done when moving from one wine to the next. We began our tasting with Dolcetto and moved on to Barbera. I realized that it was my first time tasting these particular Cavallotto wines. I was so caught up in his Baroli that I had failed to explore his entire range. Each wine expressed its tipicità with perfect clarity without an ounce of overindulgence. As pure and perfect as they were, we anxiously moved through them in anticipation of the main event – the Nebbiolo wines. The first was the 2010 Langhe Nebbiolo. As expected, Alfio poured some Nebbiolo into our glasses to clear out the powerful smell of the Barbera. We swirled and dumped, and he filled the glass again. Suddenly he looked as though he’d forgotten something. After he finished pouring us the wine, he smiled apologetically, excused himself, and disappeared back through the little door and into the cantina. In his absence, we became intimate with the aromas of the wine and only teased our palates with small tastes as we patiently waited for him to come back. Our host eventually returned and apologized for being gone so long. He proceeded to describe in great detail the treatment of the wine– a description that only professionals would want to know. We listened like dogs with treats on the top of our noses while he told the story of the wine’s élevage. As he closed the pitch, we were given the cue and we took in our first sizeable tastes. The bright and fresh acidity of the young Nebbiolo burst as it hit my palate. The smell of sweet, sunburnt rose and scorched fresh red berries found their way through my throat and into the back of my nose. The initially coarse grind of the tannins, from my first small taste, softened and left my mouth coated in sappy sweet roses and red fruit. The wine had changed tremendously in the short time we swirled and sniffed, waiting for our master to come back. I was salivating for the next sip. The next wine, Bricco Boschis, the first of the Baroli to be poured, was a regular guest at my dinner table through the previous year. When I find a great wine, I try to drink as many bottles as I can while studying every moment in the glass. Every bottle shows differently and it takes many to get a grip on the particular nature of each wine. 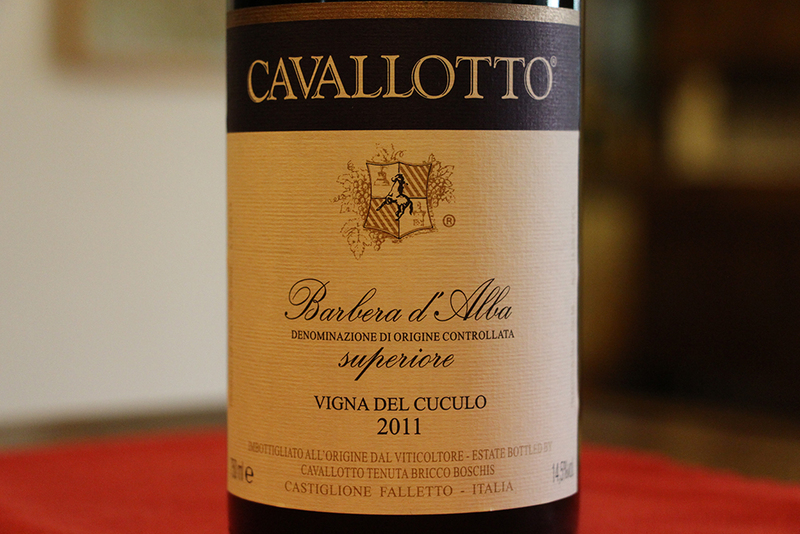 This is the largest bottling in Cavallotto’s Barolo roster and it over-delivers, even at $60 a bottle. Alfio returned in time to keep us from helping ourselves to this wine. He poured, smiled and went back out through the front door. We continued to gaze into the glass, sniffing and gently swirling. A good time later, Alfio reappeared, out of breath, and described where these vines grow on the Bricco Boschis hill as the wine began to fill our mouths. Bricco Boschis is a singular hillside that Cavallotto owns entirely; a monopole, as the French would say. Despite being the first Barolo of the line, it’s endowed with Castiglione’s balance of full-throttle power and seduction. It doesn’t drink like an entry-level Barolo as it easily stands its ground with most of its contemporaries. It’s aged for at least three years, depending on the vintage, in large botti and at least an additional year in bottle before release. The Bricco Boschis has a firm, chalky texture in the palate and a savory nose of smoked meat and brown earth that are perked up with wilting red roses, dried red and bitter-orange fruits and licorice. Some vintages, like the 2010, come out swinging whereas others, like 2008, need a patient drinker. Separate from this bottling, in the upper section of the hill, there is a parcel of old-vines that are set aside for Cavallotto’s top wine and the reason for our visit: Bricco Boschis Riserva Vigna San Guiseppe. Through our tasting, there was a second wine glass, which was set for the outlier in the family, Vignolo. The Vignolo vineyard comes from another hill down from where Bricco Boschis stops its southwest-facing descent, makes an upward turn and quickly rolls over again to another southwest face. 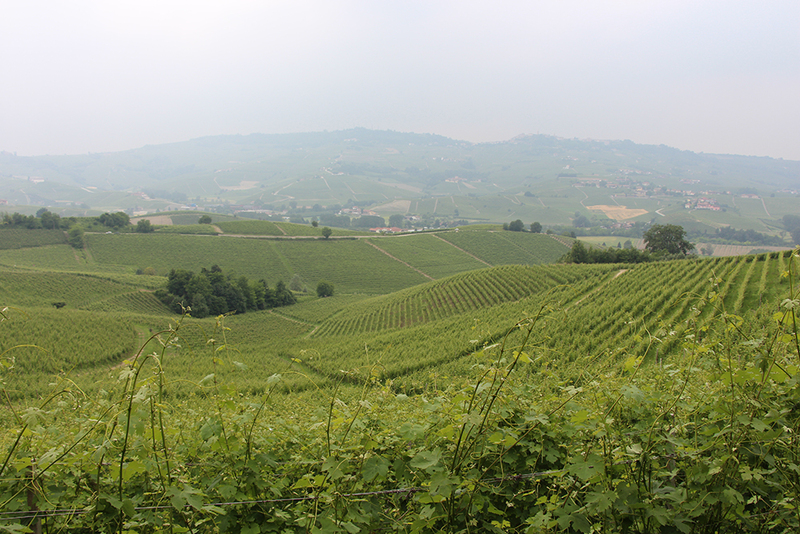 Indeed, this hill sits below the great Bricco Boschis but it is adorned with three excellent vineyards: Vignolo to the north, Codana in the middle and one of Barolo’s most celebrated vineyards, Guiseppe Mascarello’s “Monprivato”, to the south. With San Guiseppe at our feet, this view is from atop Bricco Boschis. The first hill downslope is the backside of the three vineyards. Vignolo is just on the other side. In the right vintage, Vignolo can easily rise to equal San Guiseppe. Alfio primed the new glasses and topped them with the Vignolo Riserva 2005 and the other glass with 2005 San Guiseppe. We smiled at Alfio as we expected him to leave us once again, which he did. In our glasses, two great fighters began circling the ring, keeping a distance that displayed mutual respect and caution. Vignolo, a good-looking fighter, is built for speed and precision. He danced lightly on his feet around the intimidating and focused Guiseppe. Guiseppe is a powerful beast with a perfect and patient technique. The wines showed little as they stared each other down in preparation for the fight they’ve had at this table countless times. We held out the best we could in Alfio’s absence but this time he seemed to be gone for an eternity and the anticipation was killing me. I withdrew from my glass for a moment and noticed that Matt and Andrea had already emptied theirs. They both smiled at me with unapologetic guilt. The thin blue ring barely held in the black of Karl’s eyes as he stared into the wine. His half smile revealed both shock and embarrassment, as though he was experiencing a guilty pleasure in his own solitude. Karl and I have drunk a lot together and I’ve seen that look only in the face of a great wine. Like my mind, Karl’s was twisting with the swirl of the glass. We couldn’t wait another second. We rang the bell and down it went. It was clear that the first rounds went to Vignolo. He danced, struck and almost taunted Guiseppe with his speed. As the fight started to heat up, Guiseppe’s calculated footwork and strong legs began to leverage powerful blows to his opponent. Our glasses were quickly emptied and our attention turned to the open bottles within reach. We had to continue the fight, so we liberated the bottles of some more wine. Matt and Andrea again showed no restraint as these pours lasted less time than the first. In the second glass, Guiseppe’s overwhelming power began to take its toll on his strong and most familiar opponent. Vignolo continued to glide, connecting gracefully but couldn’t crack the impenetrable build of Guiseppe. The final bell rang as Alfio returned for one last time. We never knew why he kept disappearing, but we never thought to ask. Our confession immediately began as we pointed at the half-full bottles of the two Riserva wines, admitting our guilt. Alfio smiled approvingly and encouraged us to take more, and we did. Over an hour in which Alfio excused himself for more than half of the time, we tasted only six wines. The length of time we spent on each wine may not have been Alfio’s intended strategy, but it worked beautifully. Often, it takes time for a great wine to find its stride and these two Barolos were no exception to that. Between these two juggernauts, it was hard to pick the better wine, especially after spending a half hour with them in the glass duking it out. They were simply two great wines from two great hills and each shined in different ways throughout their face-off. Great wine is a storyteller, and every great story takes time to tell. Great wine cannot be measured and scored by a sixty-second analysis, tweets, Facebook posts, Instagrams or its unicorn status. They have sublime detail and realized intent, both of which require attention and patience in the glass. If Alfio allowed people to simply taste his range in fifteen minutes, most would leave with more bottles of his spry, beautiful Dolcetto or his curvy and seductive Barbera; and few of his Baroli. Every taste is a nothing more than a single moment in a specific bottle’s evolution. Each bottle may have been subjected to variations in temperature, bottle or shipping shock, barometric pressure, the lunar cycle, the mood of the taster, the social environment, the glassware, the food, other wines on the table, and, the most influential aspect, what someone else suggests about it. Tasting is merely a snapshot, a small piece of context that is too often cataloged for knowledge and experience. No matter how many wines we taste in a year, our ability to deeply process them is limited. One must drink, observe, contemplate, process and drink again only to unlearn and relearn. This entry was posted in Italian, Piedmont on March 24, 2015 by Ted Vance.